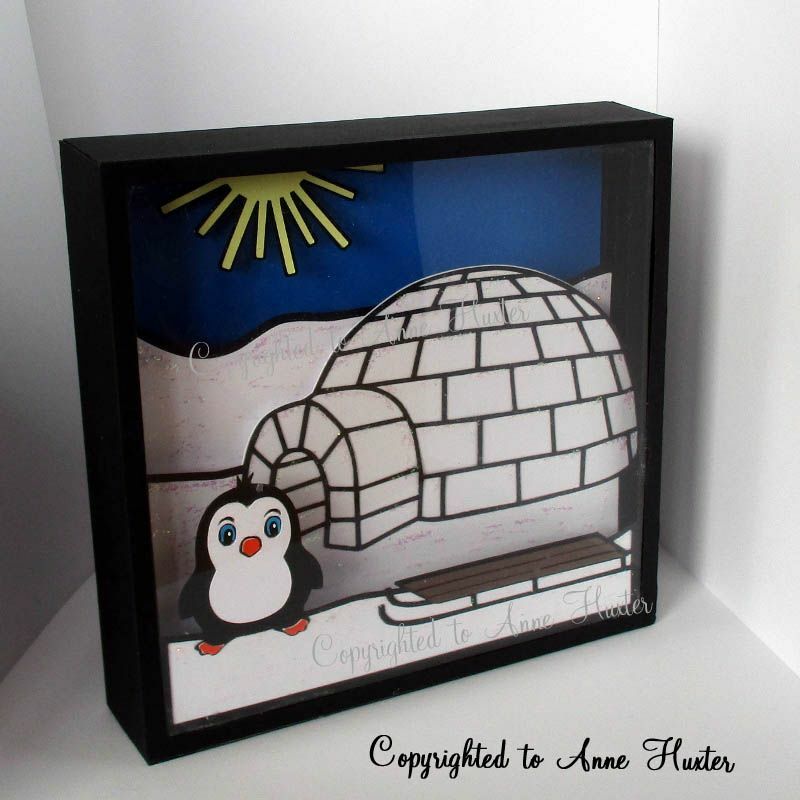 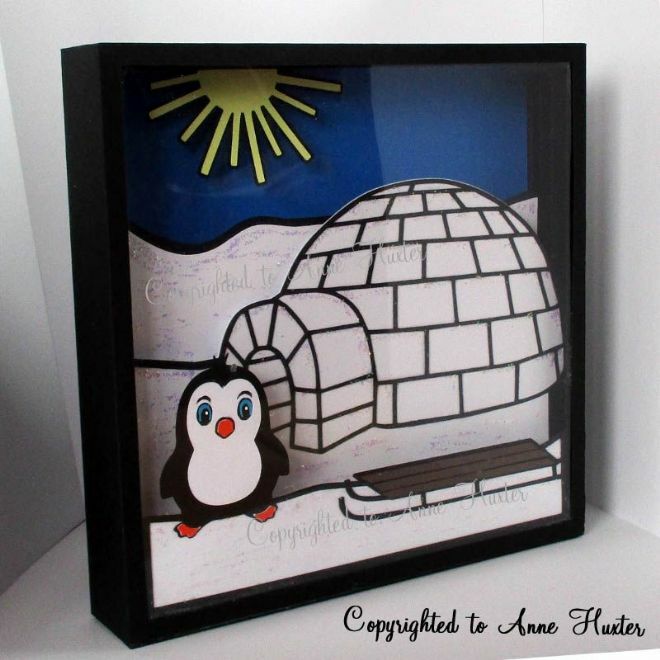 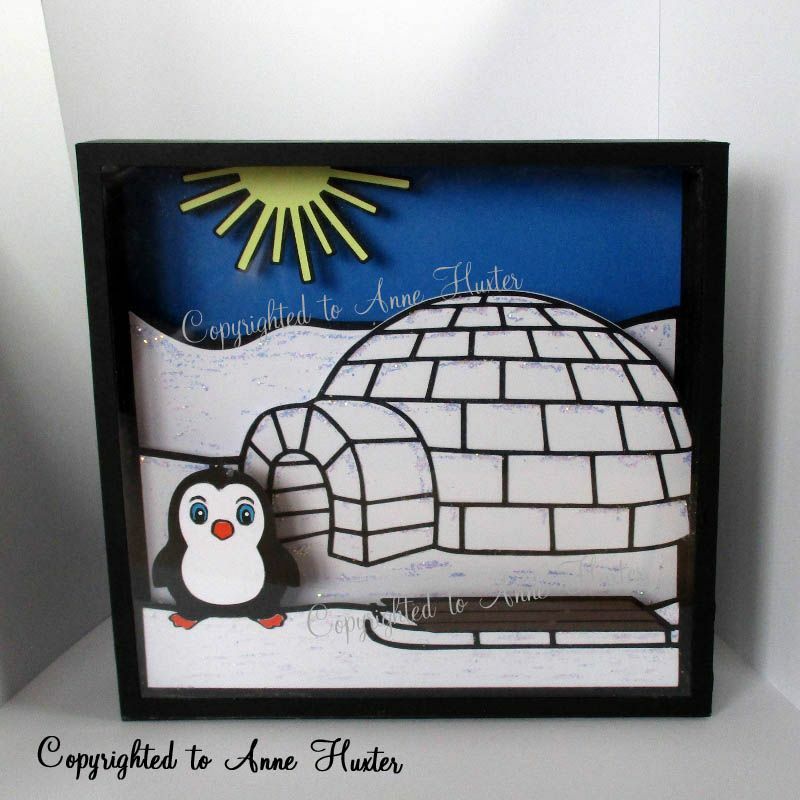 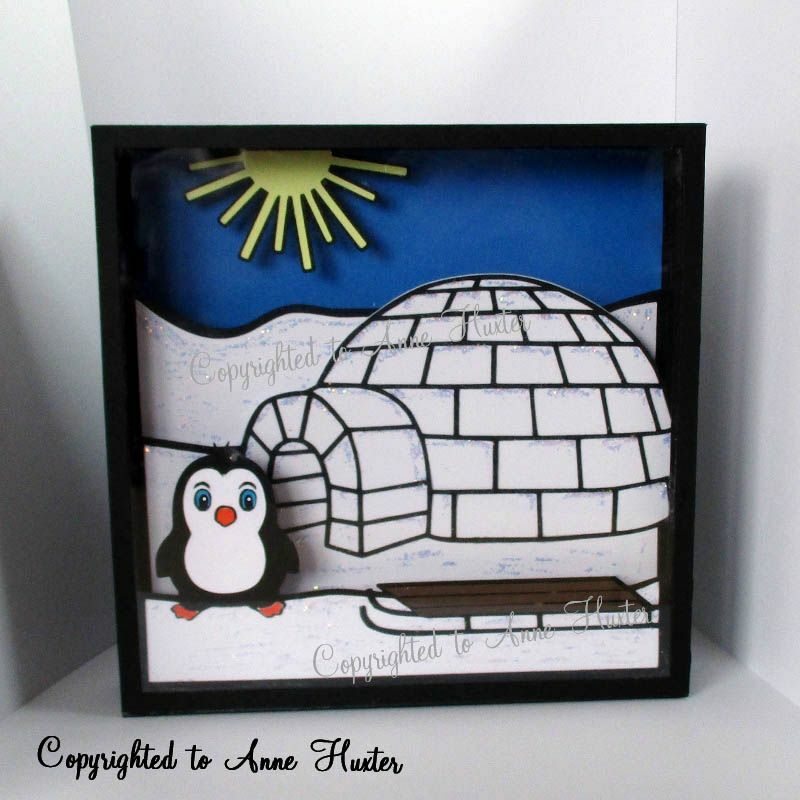 A cute picture box with an igloo, adorable penguin and his sledge. 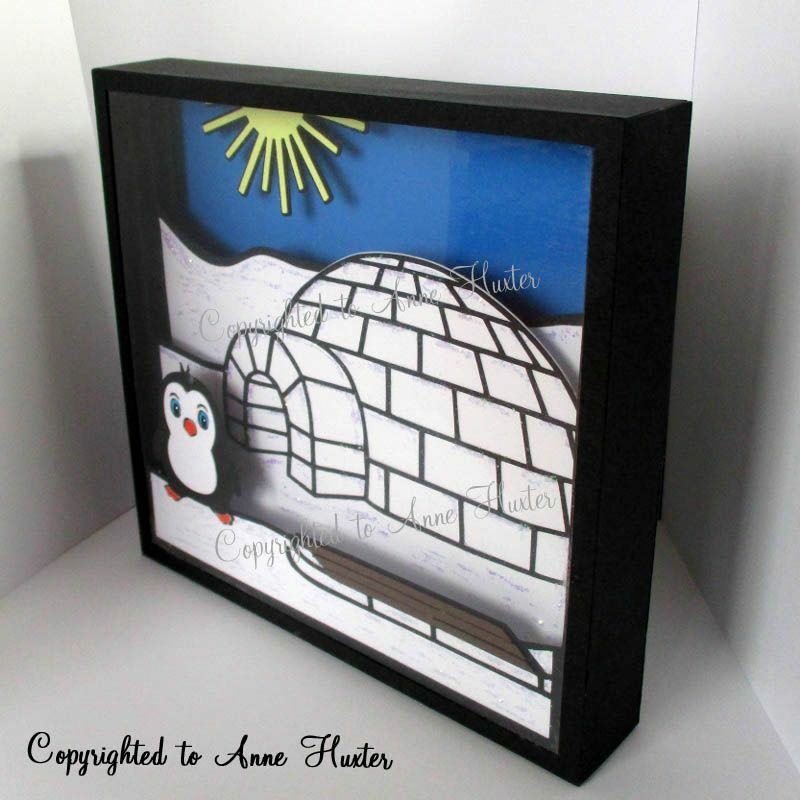 This adorable penguin is all set to go sledging down the snowing hills, then head home to his warm igloo to await Santa's arrival on Christmas eve. 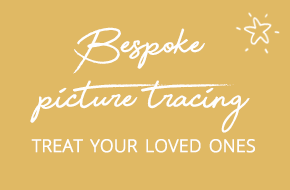 Please choose which format you require, GSD for the Craft Robo & Silhouette Portrait & Silhouette Cameo or PDF for Printing and Cutting by Hand.